They have a driver 4? Just Silver wrote: They have a driver 4? Yeah, Driver: San Francisco. The Aftermath after the game Driv3r by Ubisoft Reflections, which they did Watch_Dog game as well. 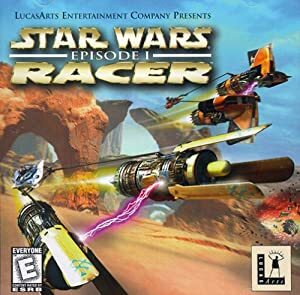 I used to play all of the Driver Series. My God...The Last of Us. I missed out on it when it first released but since I've had a PS4 I've been really looking forward to it. I've beat it twice since it came out a week ago and I'm on my third play-through right now and am still amazed by what I see. The story is emotional, and touching, and the graphics/visuals are just jaw-dropping. Running at 60 frames per second, this is just one of the best games all around I've ever played. Still stunned. Driv3r was great fun and I loved the maps but it had some of the clunkiest mechanics ever. Film Director was so dope though. I agree with you about the Film Director and making random videos in Driv3r, if I remember correctly, Driver: SF have the similar Film Director vids. As for clunkiest mechanics, that is true, it gets annoying as hell. Steve Spag wrote: My God...The Last of Us. I missed out on it when it first released but since I've had a PS4 I've been really looking forward to it. I've beat it twice since it came out a week ago and I'm on my third play-through right now and am still amazed by what I see. The story is emotional, and touching, and the graphics/visuals are just jaw-dropping. Running at 60 frames per second, this is just one of the best games all around I've ever played. Still stunned. Pretty much any Naughty Dog game, they're some of the most brilliant developers in the industry. They don't have a single bad game in their catalogue . just beat Uncharted 2. Great PS3 game, yo. Just got Tekken 6, Max Payne3, Infamous 2nd Son, Knack, and Last of Us Remastered.